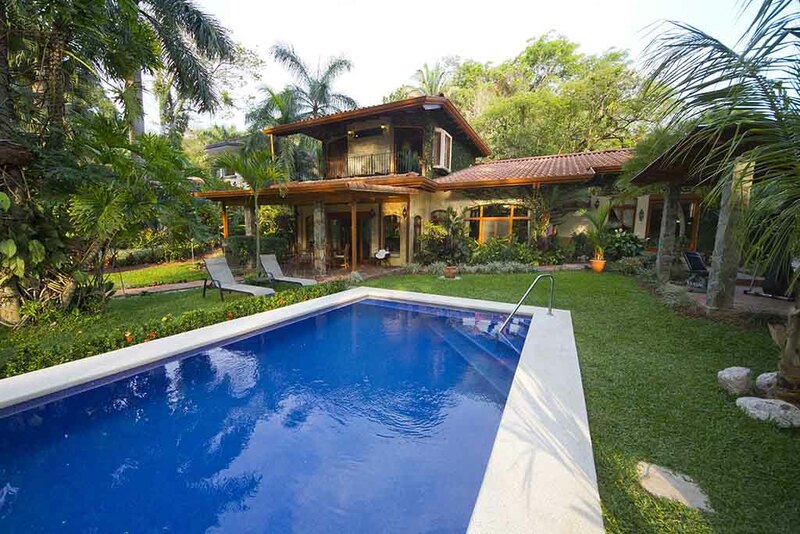 Casa Buen Dia is a beautiful 4000+ sq. 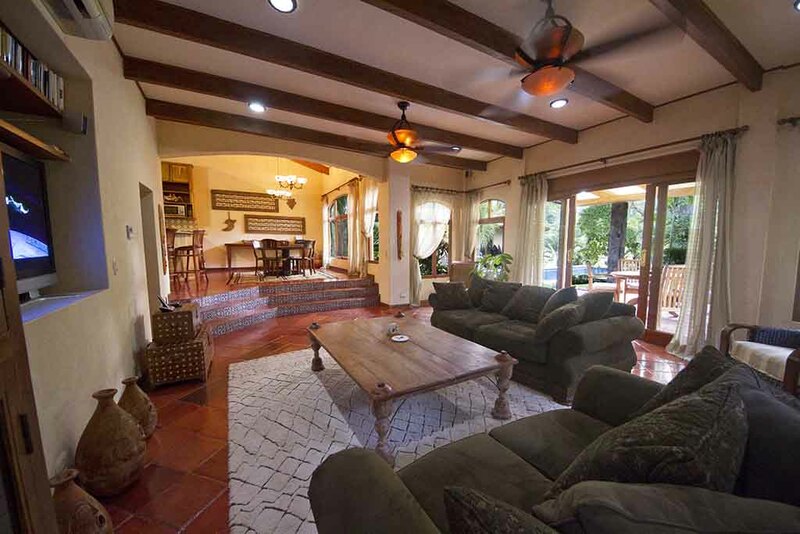 ft. single family home located in the gated Eco Golf Community of Los Sueños Resort and Marina. 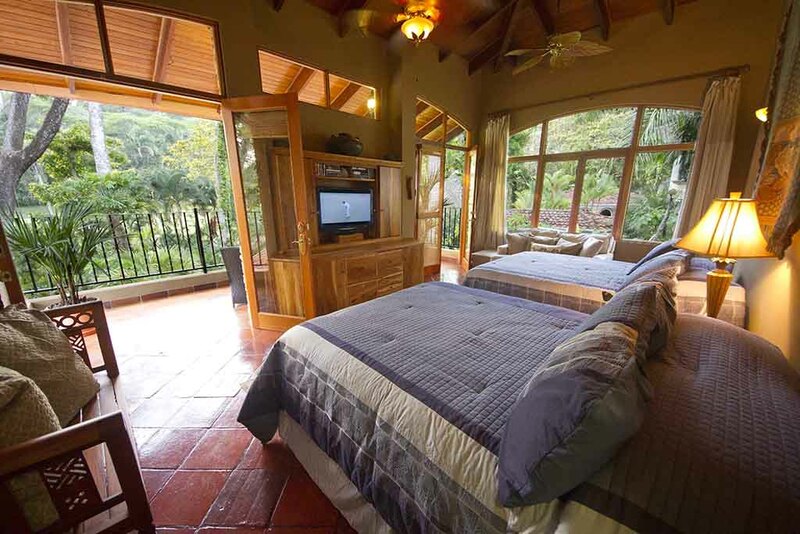 The house is centrally located but still offers plenty of privacy with Costa Rican architecture and breathtaking views. 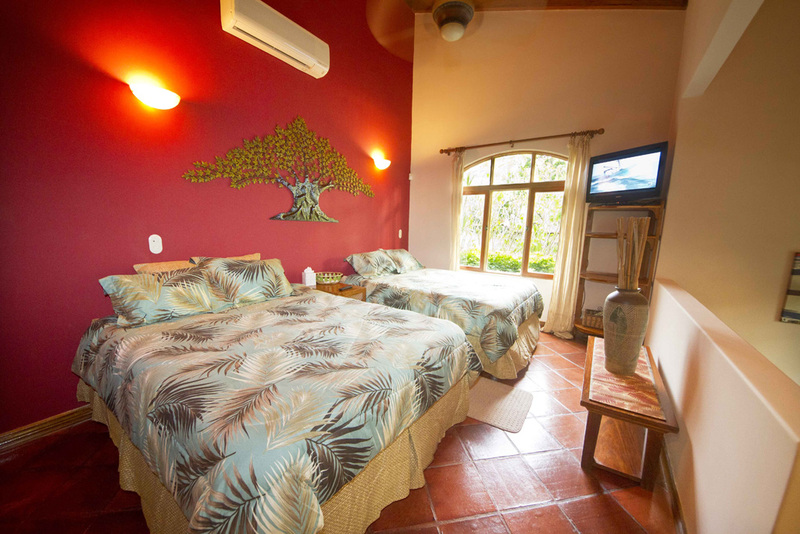 There are 4 bedrooms with 9 beds making it a great value for families and small groups. The unique tri level design gives the feeling of ultimate privacy in each room. There is a fully equipped Master Chef Kitchen with commercial appliances and the grounds are professionally maintained. 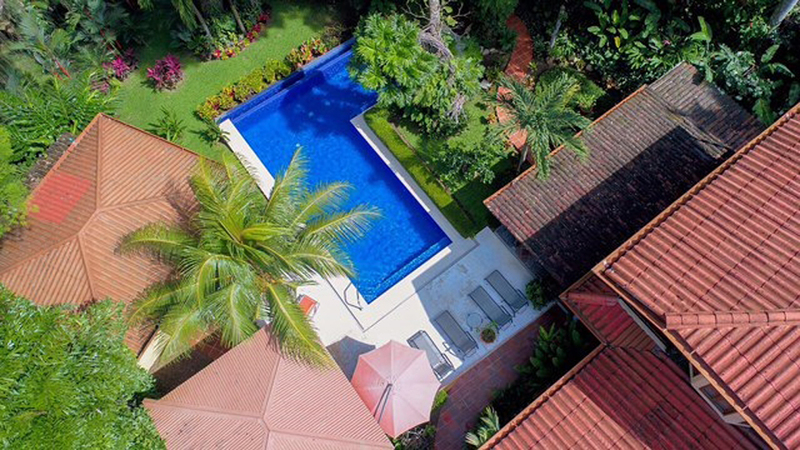 Includes a private pool with infinity edge, covered patio, gazebo, a complete outdoor kitchen with seating area, cook top, refrigerator, sink and a gas BBQ Grille. You are only a 5 minute golf cart ride to Marina Village. The property was recently remodeled with the addition of the outdoor kitchen. 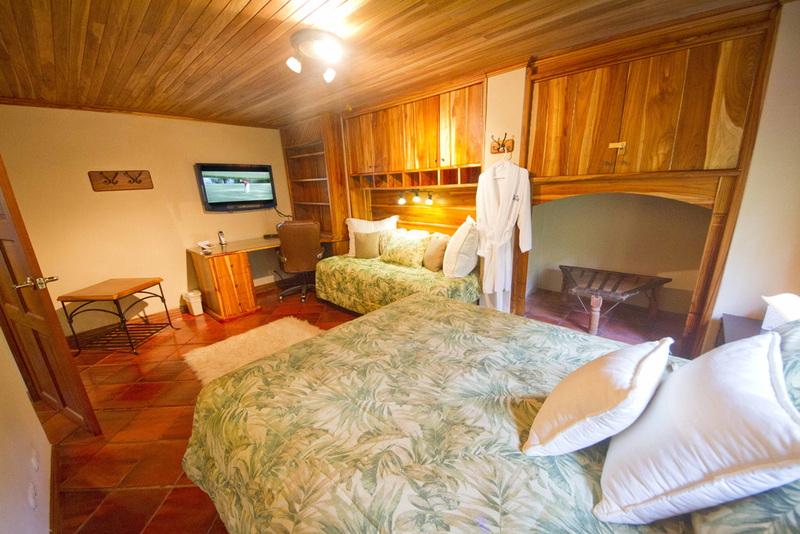 It comes with a large dining area that flows into a spacious living room with spectacular views of the lush gardens, mountains and golf course. 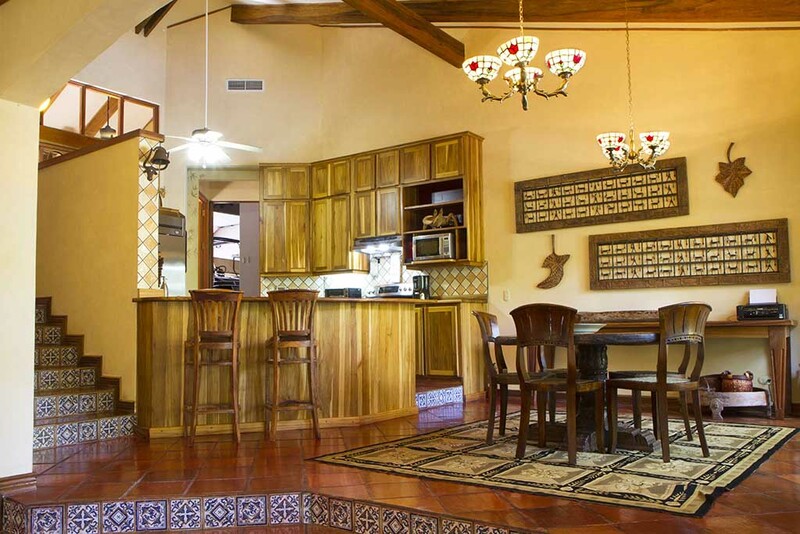 The pool area and outdoor kitchen make for a great relaxing spot after a day offshore or touring the countryside.